Private Holiday Rentals in Corfu. 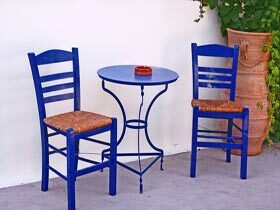 Holiday Rentals, Holiday Homes, Apartments, Villas, Cottages, and Studios on the Greek island of Corfu. If you are looking for a private holiday accommodation for your holidays in conjunction with a family atmosphere, then you are right here. 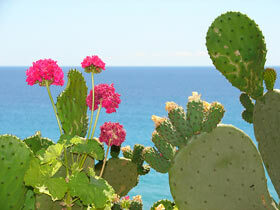 Our vacation rentals are located in the picturesque West of Corfu. The most found in the beautiful Bay of Agios Gordios, Pelekas Beach (Kontogialos), Mirtiotissa Beach and the beautiful mountain village of Pelekas. Further there as well at the Yaliskari, Paramonas, Prasoudi, Skidi, Kanouli and beach of Chalikounas. Here you have a selection of private holiday homes, vacation rentals, apartments, villas, cottages, studios and pensions. Each accommodation was selected by us personally to meet the needs of holidaymakers for individuality and quality. with its beautiful beaches, cypress trees and olive groves, pine forests, flower-filled meadows and traditional mountain villages, who have not lost much of their original character. 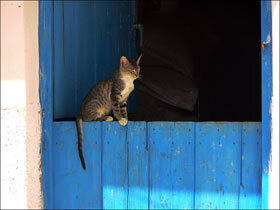 There are dreamy villages in the island Interior. In some small places seems the time to be stopped. Everyday life is almost as is the case for hundreds of years. There you can see women who carry water jugs on their heads and donkeys are the means of transportation. Although the island permanently further developed, Corfu keeps its beauty and charm. A large part of the island has been untouched from mass tourism. Sun, beaches, sea, good weather, secluded coves, picturesque fishing villages, untouched nature, hiking paradise, hospitable Greeks, family-friendly, delicious and healthy food, 3000-year-old culture, land and people story, attractions, culture pur. We offer comprehensive travel information, travel tips, pictures of Corfu's beaches, vacation photos, tips on hiking and travel reports for your holiday trip. Especially our selected apartments, holiday homes, villas, cottages und studios are suitable for your individual holidays in Corfu. Each private accommodation, holiday house or apartment with detailed description and pictures. 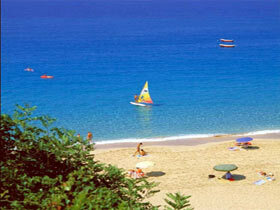 Enjoy your next holiday in Greece, maybe with us on the island of Corfu.